If you are planning to promote your product to your existing as well as new customers, then you need to run an impressive marketing campaign that can help you to achieve your goals effectively. Location-based marketing is one such strategy which is getting a lot of attention from companies who want to promote their brand to customers. A recent analysis has predicted that in coming time companies will spend a chunk of their advertising budget on location-based advertising and the figure might cross $25 billion. If you want to stand out from your competition, then you need to know all the nitty-gritty associated with location-based marketing techniques. There are different types of location-based marketing strategies you can follow that mainly include geotargeting, geofencing, proximity marketing, and geo-conquesting. The terminologies may vary from business to business but the concept remains the same for all the businesses. The question may come to your mind that why it is so important? I can give you the answer by simply quoting the following phrase by Blake Stimac, one of the Community & Social Media Managers at Wix.com the website builder. “Any sale is a win for your customers, but a good one can benefit you in many ways, too. 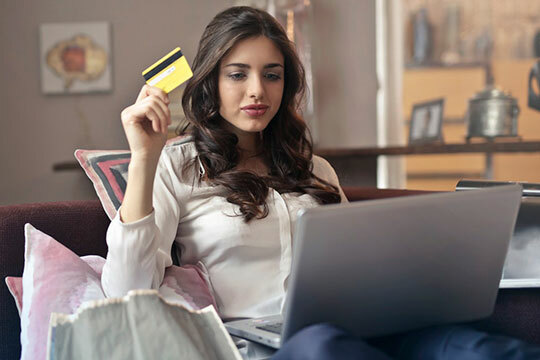 Online sales can strengthen your brand, boost revenue during a sluggish period, help you connect with your customers, and increase their loyalty by making them feel rewarded. Best of all, you can hold a sale whenever you like, for virtually any reason! Your customers will enjoy a ‘just because’ sale just as much as a ‘perfectly timed’ one.” – as quoted by Black Stimac in his recent article where he discussed on eCommerce sales campaigns. Using Geofencing businesses can deliver promotional messages or content to customers based on real-time location. When an individual shares his location with the company through the app, he starts getting notifications as soon as he enters the designated area. Customers can access several location-based offers using the app to avail all the promotional deals running in that locality. Geotargeting is another way that will let companies send notifications to customers who visited a particular destination in the past. Businesses can make use of the historical data of customers to run campaigns that will cater to a specific audience. Location data will be an important factor that will let marketers’ study and identify customer preferences and their shopping habits. If you are doing location-based marketing for the first time for your business, then you must evaluate the performance of your strategies from time to time. You can rely on the help of several analytics tools to assess your performance and vary your strategies to get the best out of your tactics. If you are planning to target a specific locality, then blog posts will play a vital role to send your message convincingly to customers. You can consider writing something special about specific places, people, events or occasions that may appeal to customers. While following this tactic, make sure you optimize your blogs with proper tags that demonstrate keywords properly. Using the right keywords in tags will always help you to get those ranked in search engines properly. In order to promote your brand on a local level, you can consider submitting your company profile to all the local directories. If you have already claimed your site page on a particular website, then you enter business information to enhance the social search experience. Offering incentives to customers are considered as one of the effective steps for a successful location-based marketing campaign. You can come up with unique offers that are highly relevant to your products. By running different location-based offers, you can boost conversion rates within a quick period of time. Mobile marketing is another important strategy that will remain in trend for many years to come. You can create your mobile website and run different ad campaigns as a part of your go mobile strategy. Using coupon apps to promote your business is another strategy that will make a buzz in the year 2019. Most of the users keep browsing through coupon-based apps that offer them attractive deals and discounts in their local market. Before choosing any location-based coupon app to market your brand, make sure they are compatible with your promotional tactics. Another effective tactic you can follow is by recognizing aggressive shoppers against those who are simply researching. This way you can differentiate different messages that you want to deliver to shoppers on the basis of their interest. For aggressive shoppers, you can pass on purchase-it-now message while for other shoppers you can set learn now and purchase later message. 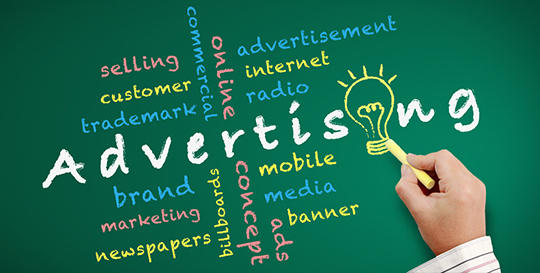 Locally based companies can use PPC advertising to bid on location-specific keywords. This helps to segregate the audience and allows you to bid more strategically on your maximum CPC. Companies also need to monitor all the local communities to analyze what has been discussed about their businesses. This way they can take all vital steps to get in touch with the audience who had a poor experience after using their product or service. Businesses can also use this tactic to thank their customers if they are satisfied after using their products or services. Most of the businesses are using this tactic to take valuable feedback from their loyal customers so they can constantly improve on their services. Some of the location-based advertising tools such as Facebook Places and Foursquare are extremely effective to facilitate word of mouth advertising. If people see their friends or relatives check in to a particular location then there are chances that they will check-in to a similar location in coming time. Facebook check-ins are an efficiency standpoint as customers are more likely to value recommendations given by their friends. You may like: 4 Key Components in Developing A Franchise Marketing Plan. Today, mobile users expect companies to send them contextual messages that cater to their specific requirements. The augmented location will play an important role by transforming the entire course of online marketing through mobile. 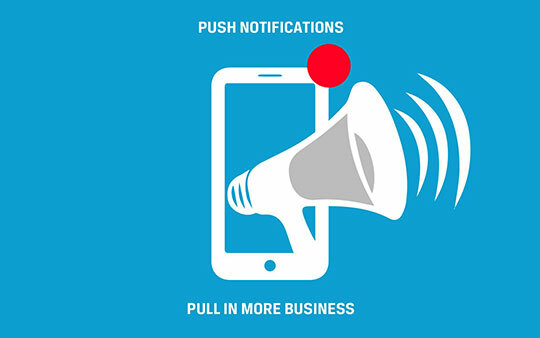 It will facilitate user engagement and let businesses to deal with their customers by sending them relevant notifications that would prove effective in the long term. In the year 2019, proximity marketing will be on the top priority of businesses and beacon network will crucial role in this strategy. It provides several opportunities in the form of visit tracking, customer mapping, cross-selling, location targeting and much more. Beacon will help companies to send targeted messages to customers when they move from one place to another. It will be useful to guide customers if they are using check-in at shopping malls by sending promotional and offer related notifications. Hyperlocal marketing is another way that will allow businesses to reach out to customers which are located in restricted areas. This strategy is suitable for both small and big enterprises who can create relevant messages mainly targeted towards niche customers. In the next few years, you will see businesses doing location-based marketing using mobile apps that include different tactics executed on a grand scale. For the initial period, they can consider creating regional app versions that will cater to small locality. If it works for any particular region, they can consider executing it for another region. In the next few years, the number of GPS devices adoption will grow constantly. It will be a key driver for marketers to formulate their strategies that will adapt to this useful technology. 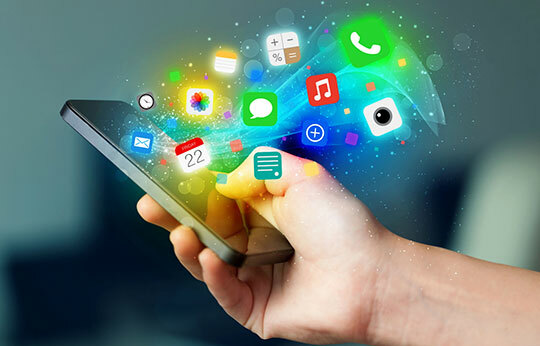 Mobile operators will consider this as a perfect opportunity to attract a fresh stream of customers thereby achieving a better conversion rate. 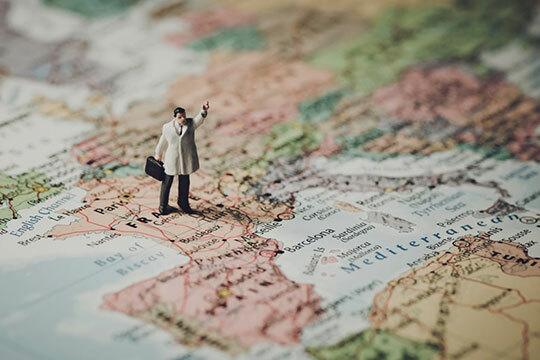 Location-based engagement provides the best way for businesses to connect with users and promote their brand. Any user who gets connected with a specific brand prone to share three important details – Place, time and action. Using all these details companies can achieve better user engagement. It opens new doors for marketers to do aggressive brand promotions. Most of the customers are not ready to share their personal information such as their location and buying preferences on the online platform. So, businesses have to make sure they disclose all the details to their users regarding exactly where they are going to use personal information of customers. This way they can follow 100% transparency and customers will start sharing all their location-based details without any hesitation. Marketers can use all this information to deliver a better user experience to customers without creating any privacy issues. No matter how small the information is, don’t ever try to resell your customer information to other parties. Don’t push customers to participate in the campaign which they don’t like. Instead, run a promotional campaign that will be focused on the interests and buying patterns of customers. Because ultimately it is all about keeping your customers happy so they will remain loyal to you forever. There is no need to spend your valuable time and money on convincing customers when they don’t need your product or service. Instead, try to reach your customers when they are highly receptive. Using location-based marketing, you can convey your message to the right audience at the right time that will eventually boost your ROI. You may also like: How Digital Marketing Will Change in 2019? All You Need to Know!. 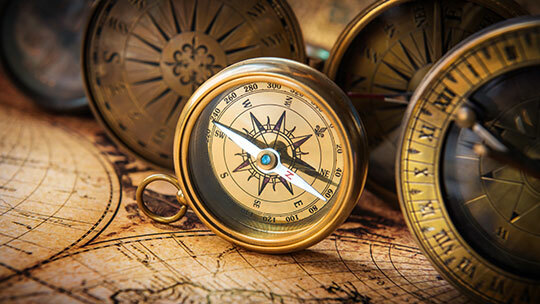 Location-based marketing is not a new concept. Over the last few decades, it has helped several companies to reach out to their targeted customers whenever they want. It is referred as a powerful tool to get connected with your chosen audience in real time and enhance overall customer experience. Courtesy to the rise of Smartphone devices and several modern technologies, it has become easy for companies to perform location-based marketing better than ever before. No matter what kind of location-based marketing type you choose to promote your brand, you must have an understanding of the way the privacy of your customers remains protected while executing all your important tactics.